The Culinary Arts Career Academy is a comprehensive four-year program that prepares students for college culinary and hospitality programs as well as various positions in the food service industry. In this program students learn and practice management techniques, food production, food purchasing, safety, nutrition and sanitation. During the program students master various cooking and baking methods. As upperclassmen students begin experimenting with their own recipes and event planning. In addition, to the development of cooking skills, students explore customer service techniques, world cultures and culinary traditions. Students gain hands on experience in restaurants facilities operations through the management of the Knights Cafe and hosting luncheons. Culinary students plan, prepare, and execute evening Culinary Showcases highlighting what they have learned for a live audience. The most talented students earn the right to represent Warren Tech at Skills USA competitions, all while preparing for college culinary programs and careers in the field of Hospitality and Culinary Arts. This program also features an agreement with Warren County Community College that enables students to continue their education in their Applied Sciences in Food & Beverage Management. 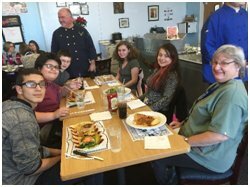 Students in the Culinary program have the opportunity to practice their skills in restaurant management & Culinary Arts through the operation of the Knights Café and providing lunch services to staff. Students will be afforded the opportunity to obtain industry certifications such as ServSafe and SP/2, enabling students to obtain positions in the hospitality field. 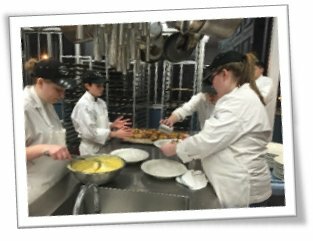 The Warren Tech Culinary Arts Career Academy has three pathways available for students to pursue: College Prep, the Workforce, and Entrepreneurship. Students enrolled in Culinary Arts classes at Warren Tech will be prepare to enter college culinary programs. Warren Tech has an agreement with Warren County Community College, providing the opportunity for students to continue their education and obtain an associate’s degree in Food & Beverage Management from WCCC. Additionally, Warren Tech students routinely pursue a higher education at culinary schools such as the Culinary Institute of America and Johnson & Wales College of Culinary Arts. Finally, other students use the skills learned at Warren Tech for employment while pursuing a traditional college programs. 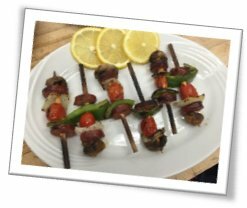 Culinary events and student activity events provides students with the opportunity to practice their skills in food preparation, menu design, and customer service. Culinary Arts students in this path are prepared with the culinary skills that will start them on a path toward owning their own restaurant. Students considering entrepreneurship are encouraged to enroll in Warren Tech’s Accounting and Business Management classes where they can earn college credit in high school. This business preparation will allow them to continue their study at the college level to go along with their culinary skills. Students in the Hospitality & Culinary Arts program are also prepared to pursue jobs upon graduation. Students in this pathway develop in demand culinary skills in customer service, baking & pastry, and food preparation. Additionally students in the program obtain a ServSafe certification required for employment in the field. Many local eateries have Warren Tech Culinary alumni on staff. Culinary Arts & Hospitality students have the opportunity to compete in SKILLS USA competitions in Culinary Arts, Commercial Baking, and more. to practice my career choice everyday!"